Software News and Events for Week 36 – Windows Wedding Day? A day early, today we recorded our Dutch SDN Cast live from our own home locations. 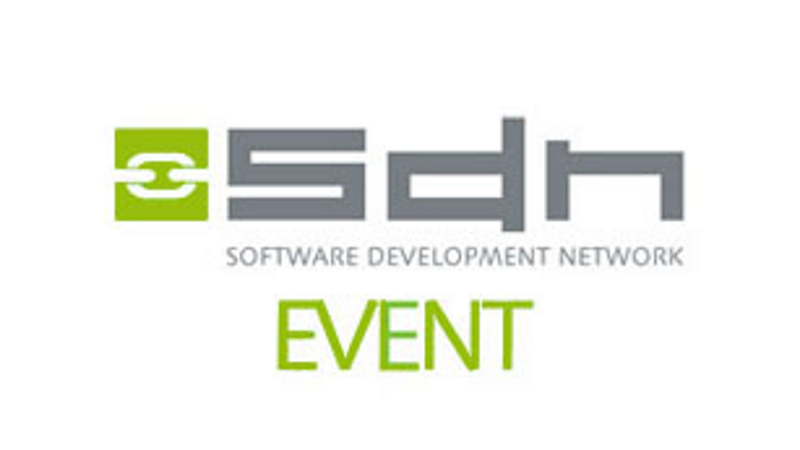 Last week we recorded our SDN Cast on location at venue Hotel Oud London in Zeist to introduce our quarterly SDN Event. As usual we discussed the news and events for this week and tried to hook into the Apple Event while we were casting our show. Just before going live I updated my broadcasting PC to Microsoft Anniversary and due to having a Dutch system I was redirected to an information page explaining I was eligible to install “Microsoft Wedding day” and my machine was ready to install “Microsoft Birthday” edition. An example of how machine translations messed up … The upside is that it was fun to read providing a good laugh. I won’t laugh too loud though as I probably make similar mistakes translating Dutch to English resulting in Denglisch J. Obviously it is not easy to translate Anniversary into the Dutch equivalent. Where can you find the Dutch SDN Cast edition 18? Subscribe to our channel so you won’t miss our broadcast. Usually we broadcast live every Thursday evening 20:00 GMT+2, this week however a day early, if you want to be sure you better Subscribe to our channel: https://www.youtube.com/channel/UC3oE_YPB4AJVQSInC-yy3pw ! We’re excited to announce that we have published Xamarin.Android support for Android 7.0 for both Xamarin Studio and Visual Studio. This week we have tough competition with our SDN Cast. At the same time of our Cast there was the Apple Event announcing a new Apple Watch, the iPhone 7, wireless earbuds. Every now and then we picked up some pricing or news items from the Apple show. We are not forgetting that a large part of Software Development is targeting Apple devices so it has our attention! Yes, after all this years, from being the largest text editor to a minor player today they still exist. And now there was a new version announced. Old times are back again! Do you remember what F7 will do? Fanie Reynders gave a short intro on Code Connect and Alive, tooling to enhance your Visual Studio experience and showing what the guys were doing just before going over to Microsoft. Let’s wait and see how acquiring Code Connect will turn out in the near future. 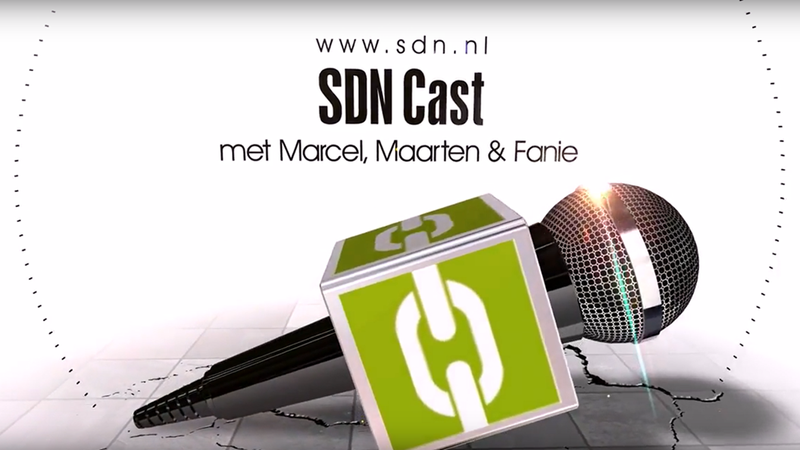 We hope you like watching our Dutch SDN Casts to catch up in a bit more than an hour on the topics that are hot for this week and hear the latest news and see the great demo’s on technology and software development that you can apply in your real world scenarios. Don’t forget to subscribe to our channel as with enough subscribers we get the option to create an easier to remember link instead of the complex URL we are forced in today for our channel! And if you haven’t heard, the 100th subscriber will get something in return! This is the third part of my Worldwide Developer Conference 2016 event overview. In this part I will get into iOS 10, one of the four operating systems by Apple. The operating system running on Apple iPods, iPads and iPhones (and Apple CarPlay). 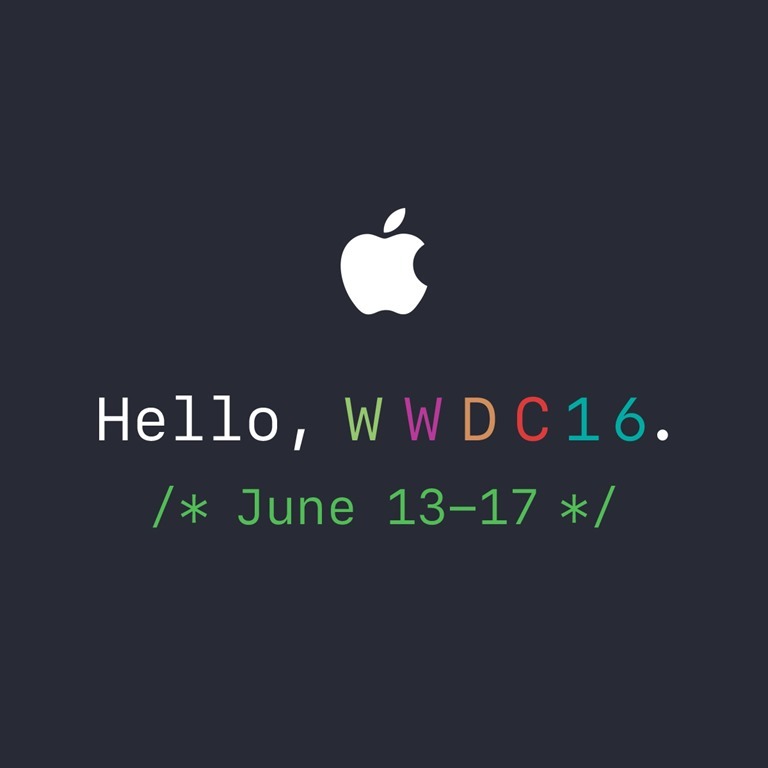 iOS 10 operating system features were presented at the Worldwide Developer Conference 2016 on June 13th. With this version of iOS activates the lock screen whenever the device is picked up: “Raise to Wake” on devices with Touch ID. So simply just lift the device and it is ready to go, unlock it or open the device. Sliding will in fact still do something, it will bring up your Widgets panel when swiping to the right. Swiping left will bring up the camera. To access Siri from your apps Apple provided the SiriKit SDK in iOS 10. Right now the SDK is limited to Booking Rides, Search Photo Apps, Send Messages, Calling, Payments and Workouts. The reason for this limitation is the risk of privacy breaches. Apple likes to control what is accessed through Siri and user information should not be able to be accessed through Siri. Now you can remove Stock Apps from your device. This wasn’t possible earlier. Stock Apps are the preinstalled Apps from Apple such as: Calendar, Compass, Contacts etc. etc.. Messages got a big overhaul and took a huge part of the Keynote. Many new features arrived at the Messages App. From animated backgrounds, more visual link where the message shows you a preview of the content like pictures, videos to written messages using ink. Emoji’s are the next big thing in Messages. Emoji’s will sometimes show bigger sized, when there are more size will change back to normal. Writing a new message allows you to highlight the possible candidates to be replaced by emoji’s and easily swap out the words by icons. More message customizing can be done with the use of new Stickers. As we have seen with photo services from other providers Apple is adding more machine learning to their systems. 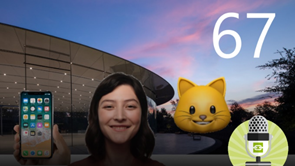 It will now recognize up to seven facial expressions and thousands of categories recognizing subjects such as dogs, cats, flowers, whatever … Apple also added Memories. With Memories pictures are bundled from similar events. Your vacation in Spain for instance, or the event in a sports arena last weekend. Interesting statement again related to privacy is that Apple stated not able to ‘see’ the images. Controlling your home is added with the new Home app. Switch on or off your lights or other HomeKit compatible devices. Apple Music has been updated, many UI updates and lyrics are added. Apple News got an update, breaking news notifications and the option to have subscription based information. Apple Pay web payments can now be done through Safari with participating websites. A “Pay with Apple Pay” button will be available where you will be able to pay by authentication through the Touch ID. Besides the features mentioned above there are numerous other updates. Not so big, smaller updates but overall a lot. For developers one important thing is probably that a large part of the kernel is now available unencrypted. Not sure this was intended or published by accident. This is the second part of my Worldwide Developer Conference 2016 event overview. In this part I will get into watchOS, one of the four operating systems by Apple. The operating system running on Apple Watch to be exact. It is the third update on the watchOS operating system presented at the Worldwide Developer Conference 2016 on june 13th. An update with new apps, watch faces and most of all a significant improvement of performance. Three new faces have been added to the set of existing faces. Minnie Mouse with adjustable clothing to match the color of the current band you attached to the watch. An activity face to show you how you are progressing in your day and a Numerical watch face to show you just one number depending on the current time. The Apple Watch app on iPhone now contains a Face Gallery where you can change the properties of the watch faces, like the color of the Minnie Mouse dress. You could do this in previous versions on the Apple Watch but now you can do the same on the larger screen of your iPhone in the Apple Watch app. The navigation has been changed for watchOS 3 where the button on the side of the watch previously showed a list of your contacts. This is now replaced by a collection of your ‘favorite’ apps. This collection replaces the Glance view you brought up by swiping up. Instead of the Glance view, when you swipe up, you will get the Control Center, just like you are used to see on the iPhone. Also switching the face plates is a lot easier in this version. Simply swipe left or right, no longer is the deep press needed to bring the other faces up. Besides changing the navigation also the use of memory has been changed significantly. Your favorite apps you put in the Dock view are constantly available in the background and stay in memory to enable quick switching between apps. These apps are always updated in the background. Apps running in memory are to be seven times faster than on the old system. Not only the docked apps will be loaded in memory but also your most recent used apps. When browsing the apps on the dock it will display a current snapshot without loading the app completely. You can add up to ten aps to the Dock view. A new feature on the Apple Watch is SOS, if you press the lower side button for over three seconds the watch will call the local emergency service. This depends on where you are. In the Netherlands supposedly it would call the 112 emergency service instead of 911 in the US. Calling the emergency service will also provide the medical information such as age, weight, allergy information and more. Sharing your activities is hot nowadays, who doesn’t own an activity tracker? Apple did notice that and next to adding the Activity watch face they added activity sharing so you can share your stats with the friends you like. Activity tracking has been made compatible for wheelchair users. Instead of telling you to stand up, which can be awkward if you can’t, the watch will now suggest that it is “Time to roll” if you are in wheelchair mode. Also pushing the wheels of the wheelchair is now a supported activity in this mode. Several improvements have been made in the area of the Workouts. For instance there is now support for automatic pausing in case you are stopping for traffic lights or some other reason. Registration will pause and will start again when renewed motion is detected. Lifting your arm is now sufficient to show you the stats of the workout. Manually putting the workout on hold can also be accomplished by pressing the Digital Crown and stopping is now done by right swiping instead of force touch. If you are doing a workout that is not in the list you can use ‘other’ workout types. One app in particular they spent some time on was the Breath app. With this app you will get support to train your breathing and get into control to be more relaxed. The watch helps by showing images and graphics to indicate how you should be breathing. Equal to the iPhone the Reminders and Find my Friends app is now added to the Apple Watch for you to use. As ‘docked’ app the Find my Friends app will always be active in the background and allows you to quickly show you where your friends are located. With the replacing of the Glance view there is now the Heart Rate app. This was the only thing that didn’t already have its own app outside the Glance view. Immediately after receiving a message you can now send a reply by really writing on the screen using the new Scribble feature. You can also do that in Chinese if you like, just draw the characters on the screen. With watchOS 3 you can use your watch as an authentication device for your iPhone to unlock the phone. So you can unlock your phone as soon as it is in close range of the iPhone and no longer needed to enter the authentication information like a pin code. Appls on the Apple Watch now get access to Apple Pay, that is if it is supported in your locale. If it is developers can add Apple Pay features to their apps in order for you to use it in the apps of your liking. If you look at it, it really became a large article where at first sight one may have thought there wasn’t all that much changed for this operating system. Still too bad most features can only be used with the phone nearby, the iPhone to be exact – it isn’t multi-platform, but we are used to that with Apple by now. This is part one of probably four about the announcements at WWDC 2016 related to tvOS. tvOS is the operating system of Apple TV with integrated App Store and voice-based Siri searches. WWDC is positioned to be a developer conference, but I found that the conference is for a large part also about content and new UI capabilities. Of course it is up to the developer to integrate the capabilities but the WWDC show doesn’t show you how (at least in the keynotes, so you might think the keynotes are in fact end user presentations). That said, Apple announced several new Apps to be arriving on tvOS: Sling, Fox Sports Go, Molotov TV and games such as Minecraft Story Mode and Sketch Party. At WWDC 2016 Apple announced Single Sign On for tvOS. With Single Sign On for tvOS you only need to enter your credentials once without the need to re-enter your credentials every time you access a pay-tv subscription item. So no longer you are required to repeatedly enter your name and secret password whenever you switch between ‘locked’ channels. This feature will also be available for iOS according to Apple at WWDC. Apple TV now also supports up to four game controllers. Apple TV will also get support for Homekit. The API to control all your Homekit compatible devices independent from what manufacturer the device came. This app will allow users to control their content but also to use Siri to control the Apple TV. It can also be used to play games on Apple TV or enter text using the iOS keyboard. Apple announced a couple of new tvOS APIs and also support for PhotoKit and Homekit. A new API is ReplayKit that enables recording of live broadcasts from your apps. New features that arrive at iOS and macOS also will come to tvOS. Among those the new redesigned Apple Music with lyrics. You can now chant along with your fav music on Apple TV as well. Photos will get, just like iOS and macOS, the new feature called Memories that tries to bundle all the topic/location related pictures in one view. Remember that Microsoft already has a feature like that on their OneDrive online albums.